Painting/Art is done in the Card Hall at 9AM on Fridays. Coming together as artists helps to develop skills and creativity. 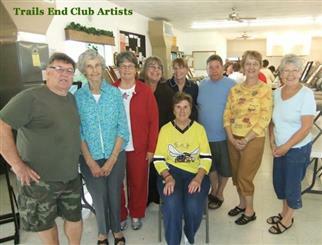 The Club has books, brushes, paints (water, acrylic and oil) and drawing supplies. You are also encouraged to bring your own art supplies. Several painting project/lessons are planned. Whether you are experienced or a beginner, you will benefit from these projects/lessons. The beginning date will be announced at a Monday Morning club meeting. Eleanor Gauthier is the contact .